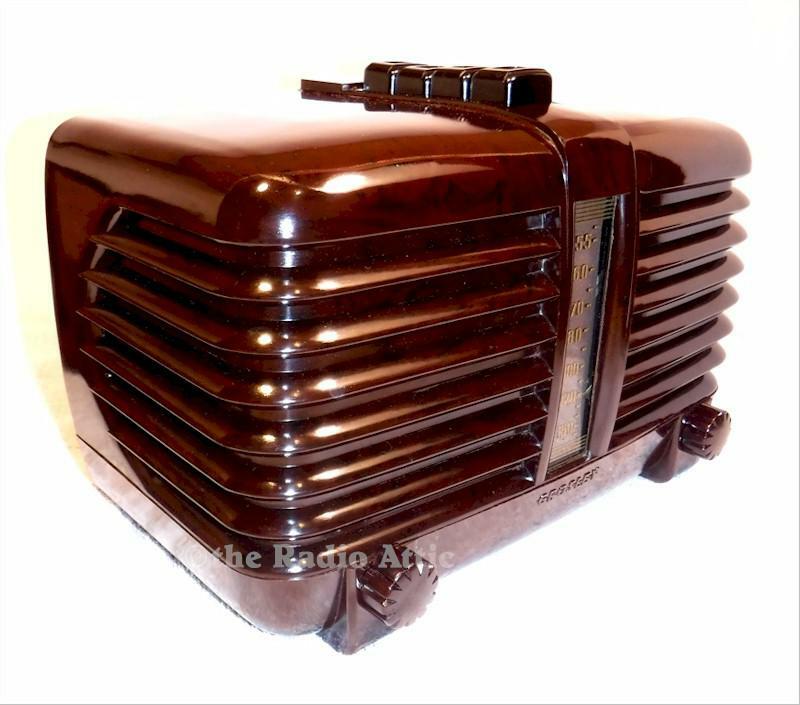 This Crosley has a gorgeous Bakelite case that is chocolate/brown with red marbling. Look at that shine. Excellent reception across the AM band with the long wire antenna. Six tubes. A clear dial lens that's also lighted for night viewing. The push buttons work as designed. Fully restored for safe, reliable use. All paper capacitors and electrolytic capacitors have been replaced with high quality modern replacements. Tubes are replaced as needed as well as any other defective parts. Please review my testimonials page to get an idea of the quality restorations I do. 11-1/2"W x 8-1/2"H x 6-1/2"D.
You are visitor number 553 to this page.